Home Health What are the Symptoms of a Gallstone Attack? The gallbladder is probably the organ that gets the least attention from you. Until it causes pain, that is. But how do you know if the pain you’re experiencing is caused by a gallstone attack? Is it different from the pain brought about by more common abdominal disorders, like peptic ulcer or gas pain for instance? That’s a very good question to ask and know the answer of. Pinning the cause of abdominal pain right from the start will not only help you find relief to pain. It will also point you to the correct direction in the treatment of a potentially dangerous condition. What is a gallstone attack? When gallstones block the flow of bile, a gallstones attack, also called biliary colic, may occur. Gallstones lodged on the gallbladder’s opening or along the ducts prevent the bile from flowing out to the digestive tract. As the liver continues to produce bile, the pressure inside the gallbladder also increases. Eventually, it will reach a point where the gallbladder could take no more. That’s when the excruciating pain starts. 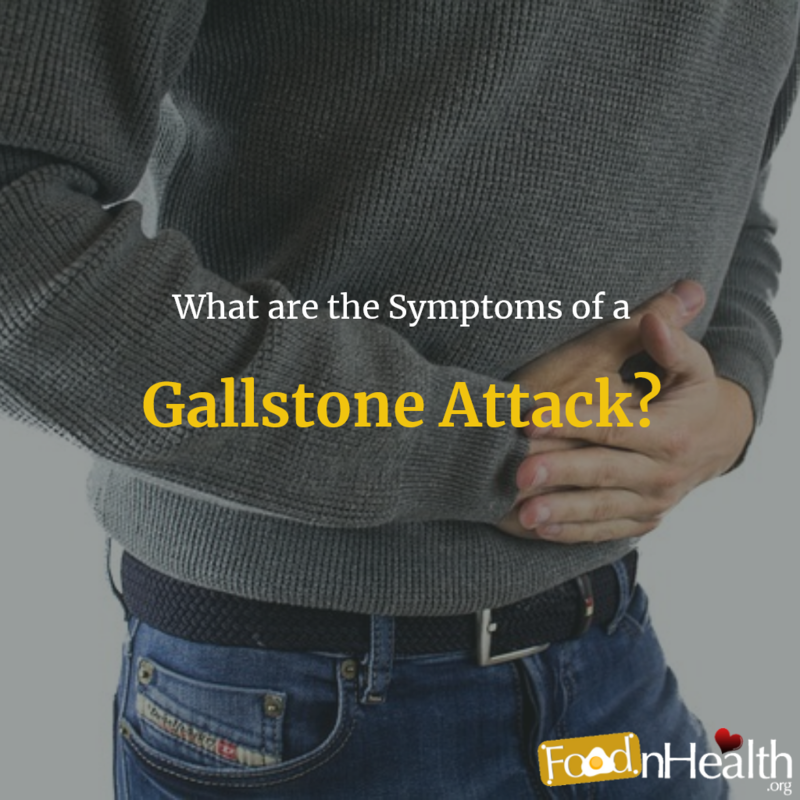 What are the symptoms of a gallstones attack? The onset of symptoms usually occurs without warning. The intensity, frequency, and duration of the episodes vary from one person to another. It can be mild or excruciating, frequent or rare, and lingering or intermittent. If an attack lingers for hours, it often radiates to the chest, back, right shoulder, and between the shoulder blades. It’s important to take note of the timing of the pain episodes. Do they occur following a meal, particularly a fatty one? A fatty or heavy meal normally triggers a gallstones attack. Your doctor may want to know these details to help confirm his impressions. Why is it that some gallstone attacks last for hours while others are gone in a few minutes? Again, we’d like to emphasize that the mere presence of gallstones doesn’t cause pain. Gallstones pain is caused by gallstones blocking the passageway of bile. Whenever there’s a blockage, there’s pain. If the blockage is temporary or if the gallstones are small, the bile will eventually flow out of the gallbladder, albeit slow. Small stones will eventually flow with the bile and get expelled to the digestive tract. A large gallstone that’s caught in the opening may become loose and move out of the way. The important thing is that once the offending stone is out of the way and the bile’s normal flow is restored, the pain will be gone, too. The duration of an attack can be long or short depending on how long before the obstruction is cleared out. Biliary colic episodes of this type are considered uncomplicated diseases of the gallbladder. The episodes may occur in intervals of several weeks or months. Are there other symptoms associated with gallstones pain? Your doctor will require laboratory tests to confirm cholecystitis. Other possible complications are pancreatitis and liver infection, so tests are necessary to rule out or confirm these conditions. Once you experience that sudden sharp pain in the mid-section or upper right side of your tummy, that’s a heads-up of a possible biliary colic or gallstone attack. See a doctor right away especially if you experience a second episode. Your doctor will tell you what to do next. What’s the future like for people who have experienced gallstones pain? Experiencing biliary colic means one thing – you have gallstones in your gallbladder. It’s natural to be concerned about impending attacks and the possibility of gallbladder removal surgery. These anxieties are not without basis. Still, you shouldn’t worry too much. Studies show that more than 80% of people with gallstones will never experience biliary colic in their lifetime. They can live normal lives. This positive outlook, however, doesn’t mean that you can abuse your health any way you like. It’s true that silent gallstones are not a problem in most cases, but you need to be more careful about what you eat. Living a healthy lifestyle and eating carefully planned meals are crucial in warding off biliary colic and its possible complications. It’s important to know what hit you. Don’t dismiss abdominal pains as nothing. Instead, check the symptoms we’ve listed, and see your doctor immediately. Experiencing gallstones attack is a cause of concern, but the future is not all that bleak if you take proper precautions about your diet and lifestyle.